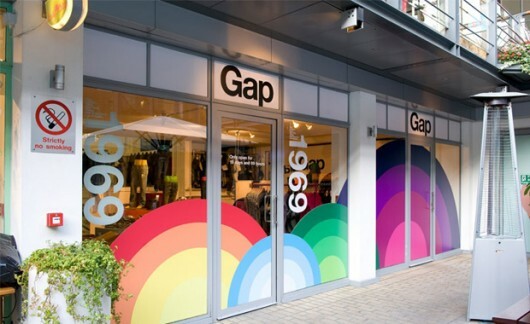 The Branding of GAP | Shelby White - The blog of artist, visual designer and entrepreneur Shelby White. 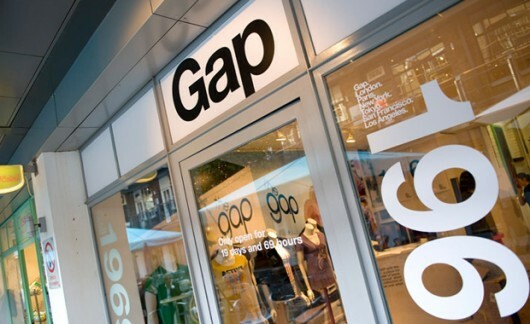 Gap is one of those brands that I’ve just never bought into. Why? I’m not sure. But if asked what brands are doing it right with their branding, I would say these guys are. Earlier this year I started noticing some of the really nicely designed outdoor displays and really felt like their typographic decisions in combination with photography were really appealing. 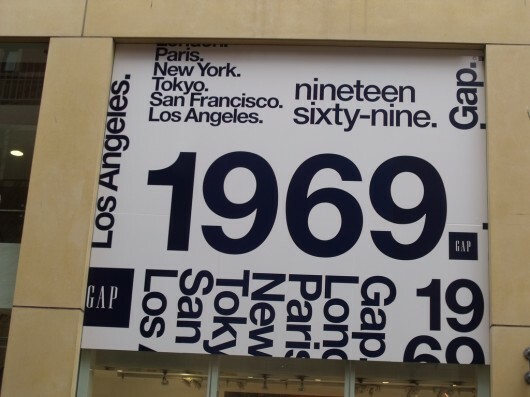 I’m not sure how long GAP has been using Helvetica as their brand’s type but all of their current promotional materials have it. 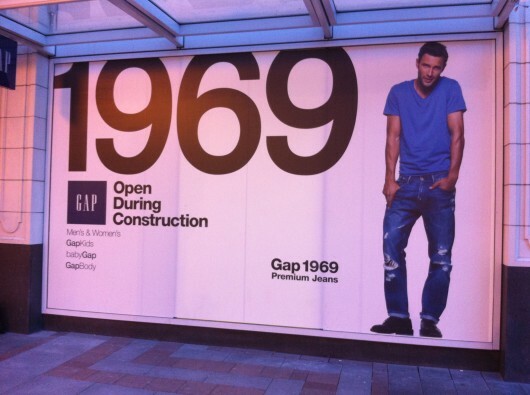 To me it seems like a perfect fit, especially with the number set ‘1969’. 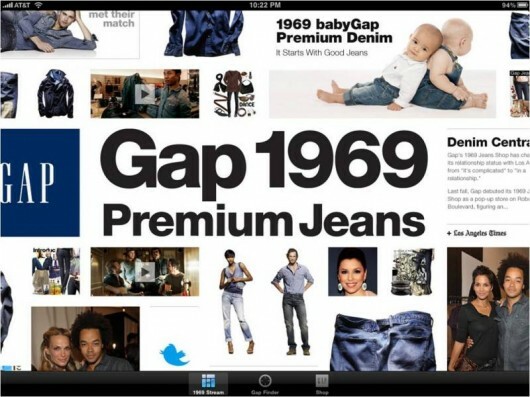 Gap’s 1969 Stream collection website is another great example of where I feel that they’ve done right. 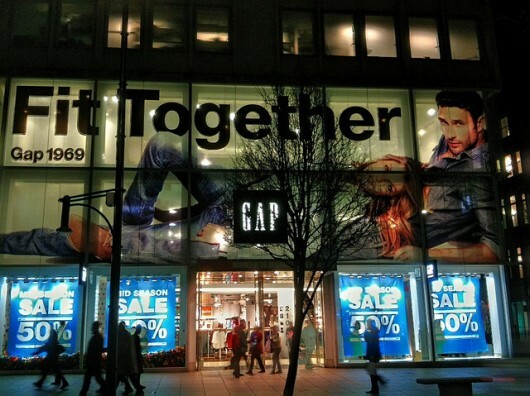 What are your thoughts on Gap’s branding? It’s very.. generic. I appreciate that as a big clothing company they don’t want to target their advertising to specific niches, but it comes off as inoffensive and a little bland. I feel like I’ve seen that Helvetica list of cities before. The Helvetica definitely gives it a trans-national flavour, but it doesn’t really make me stop and say ‘wow’. 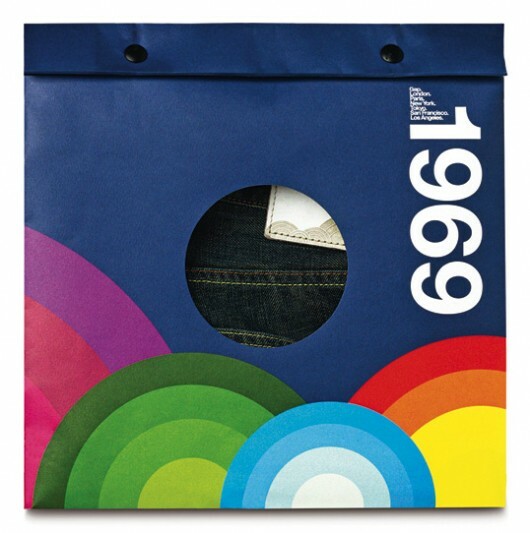 I like the LP-inspired jean packages, but those concentric circles have also been used by everyone and their dog. Still, as a large brand, they’re probably making the right move. 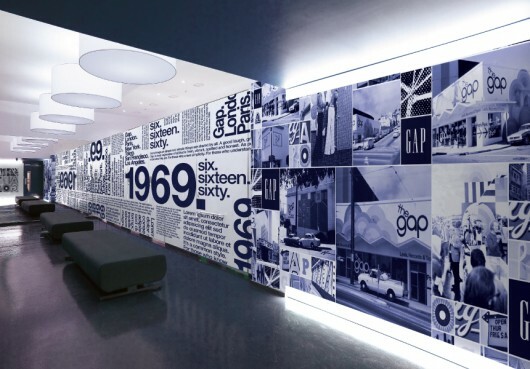 Like yourself, I’ve also never really been a GAP person, so it’s interesting for me to look at this new art direction (at least I think it’s new) and see how my mind re-evaluates its opinion toward GAP. I do think it looks very good and very punchy. The retro-styled packing looks hot as does the window covering “America’s Best Fitting Premium Jeans” (feels like an old 60-80ties magazine advert). The classic use of Helvetica performs as well as one would expect, but it comes with an inherent price. It’s not innovative, it’s somewhat bland and yes, as said by Ian it has been done countless times before. But in saying that, this direction is like betting on sure, reliable thing. It’s better than going crazy and getting it horribly wrong. I do think it looks nice. It reminds me of an American Apparel campaign but slightly more refined. 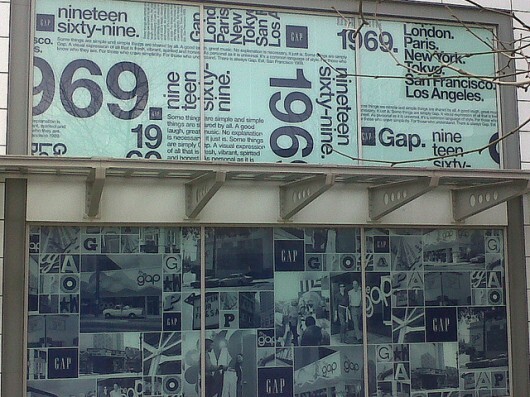 I do agree with Ian though that it looks like something that has been done many times over with the intent being reminiscing about “the good old days” of Gap. @Andrew — I’m not sure who is doing the design but it does seem that they aren’t going all the way through with this style and I believe they should. It might give it a slightly more structured look for some of those ads (the typography in them). Ha! I thought it was American Apparel. Especially the one with “America” in the tagline.